Yes, yes, I promised the next post would be more team bikes, but sometimes a guy gets busy, and can't get things together for a proper post. Luckily, someone who read one of my previous posts sent me me interesting catalog scans. Michele lives over in Sweden, and was the person who let me know that in his area of the world, the Stuttgart color scheme is also know as the PK-Banken scheme. He owns a stunning example of a frame in the same color scheme, fitted out in full Croce d'Aune. He has a few other bikes that are really nice as well. 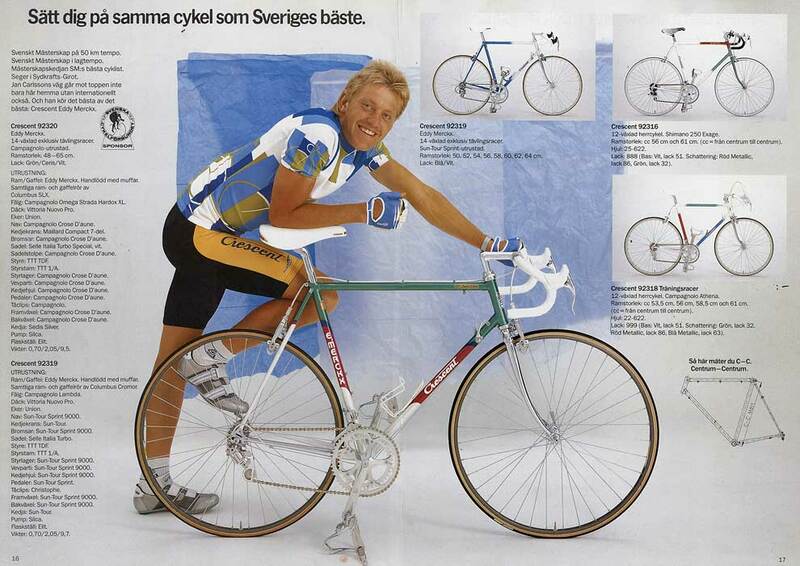 He sent along this scan from the 1990 Crescent catalog. 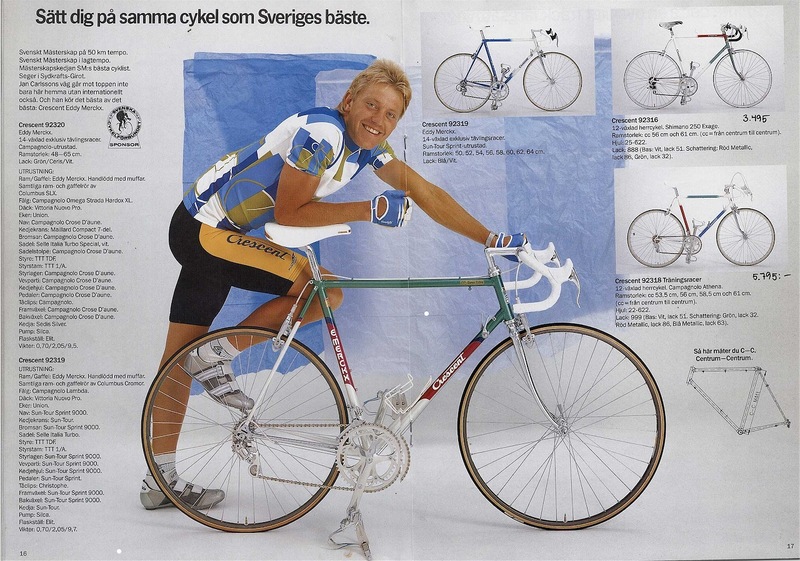 In it, you can see a Crescent AND Merckx labeled frame in the Stuttgart/PK-Banken color scheme, ridden by Jan Carlsson, who I'm told was the Swedish time trial champion. Do you have any other info on the Crescent line? 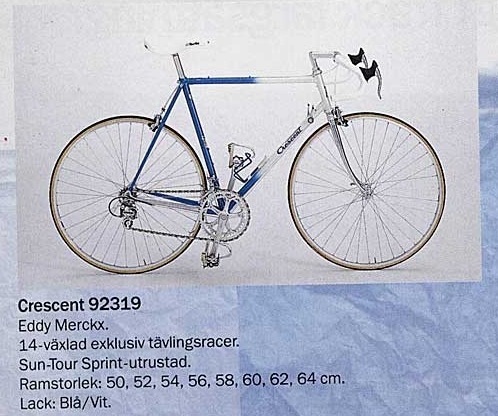 I just bought a Merckx Crescent and wondered the exact year... Perhaps it is 89 by the C-Record Group. 14sp Friction. Any info would be a big help. Thanks. Merckx Crescents will follow the same serial scheme as regular Merckx frames - they've just had different decals applied. Check the links at the right for the one to my serial decoding page. This is the exact bike that I happened upon. The only difference is SR brakes instead of C-Record Delta's and there is a number plate hanger with Campy bolt. I hear they don't put them on stock production runs so maybe this is a team bike.